A youth movement committed to the work of changing the human race into the human family. The All Saints youth ministry’s goal is to provide a safe, fun, loving and fully inclusive space in which to explore and experience God and the world in which we live. We’re committed to making our programs and retreats accessible and affordable to all families by providing scholarships to any family who may need assistance. Please let us know if you have any questions. Below, check out our gallery, twitter feed and Instagram. "We are beset with a thirst for meaning and connection that centuries of skeptical philosophy, hardheaded materialism cannot eliminate... today we turn to "the cosmic awe conjured by science fiction, or the outer-space snapshots of the Hubble telescope as it calls forth our ever-deeper, ever-brighter possible selves." ...just don’t forget to close the gate! 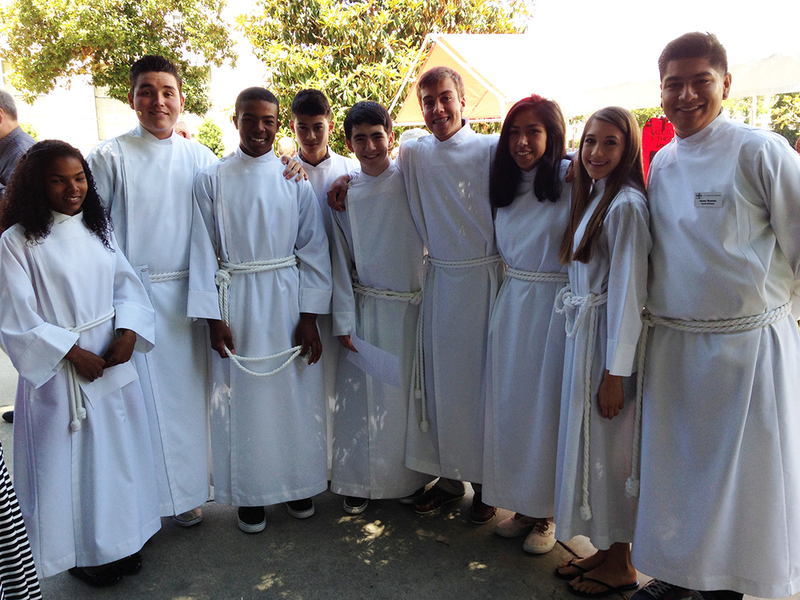 This eight-month confirmation class is designed specifically for those youth in grades 9–12 who are interested in learning about the Episcopal tradition, growing in your faith and discovering and sharing that journey of faith with others...or maybe your parents really want you to take the class. Did you know there's a growing indie board game movement, and we pretty much have all of them here at All Saints? Come on over one Friday night and join us and see just how much fun it is--learn some new games, meet up with old and new friends, or just come to enjoy the snacks. ...and that's why we gather together on Sunday mornings to hang out, check in, play a little ping pong, and get reconnected to each other and God. Come for the people, come for the conversation, come for the donuts...whatever it takes...just don't walk the journey alone. We hang out, play some games, spend time in prayer, and even learn a little bit too. Most of all, we come together to love and support one another and grow in our understanding of faith and the world in which we live. The youth choirs of All Saints Church are dynamic and engaging communities where young people can build friendships, develop musical abilities, and lead our parish in worship. On average, each group participates once a month on a Sunday morning -- no prior musical experience is required -- all are accepted. 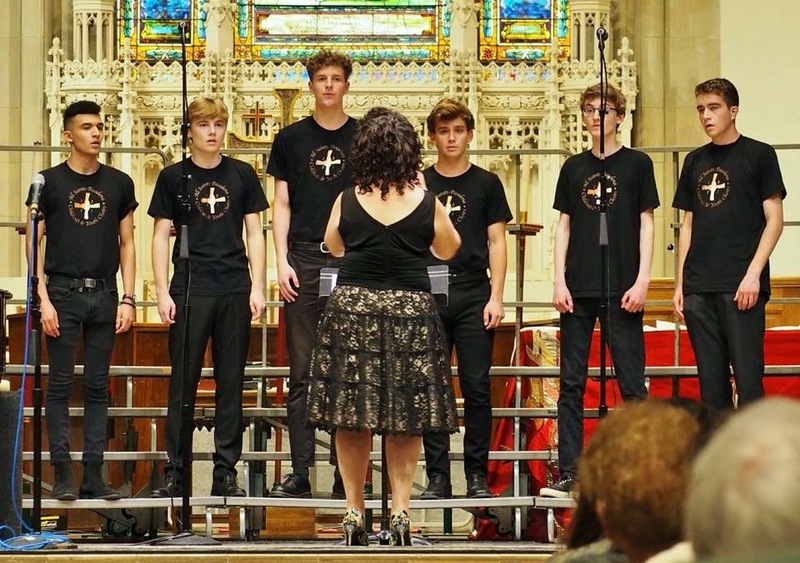 Youth Chamber Choir is a treble ensemble (Soprano and Alto) for singers in 4th – 12th grade who would like to do more challenging treble repertoire and be in an ensemble in addition to their weekly Troubadours or Trouvères rehearsal. Youth Chamber Choir meets weekly, September -- June on Sunday mornings, 10:15-11:00 am in the choir room. Vox Cambiata is a vocal ensemble for changed voices. Tenors, Baritones, and Basses sing 2-4 part choral music and sing for 5 services a year. Rehearsals are 2-3 times a month on Sundays from 12:15-1:15pm.